RARO MAXI, 3 TEMAS...impecable estado..original usa.!! Eurythmics + Aretha Franklin 12" SingleThis is a 1985 12" Single by The Eurythmics and Aretha Franklin. It comes in a grea vpicture cover. 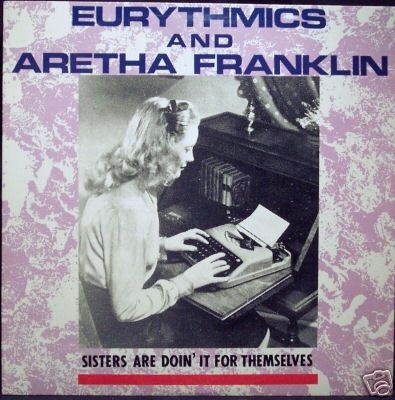 There are three songs:Sisters Are Doin' It For Themselves Sisters Are Doin' It For Themselves (ET Mix) I Love You Like A Ball And Chain - Eurythmics onlyRCA Records PW-14243.